Good day to all the ladies out there! For today we have a special post just for you. If you are keeping up with the latest trends, this is the post that you should not miss. Summer is the time when you just want to keep your hair up. 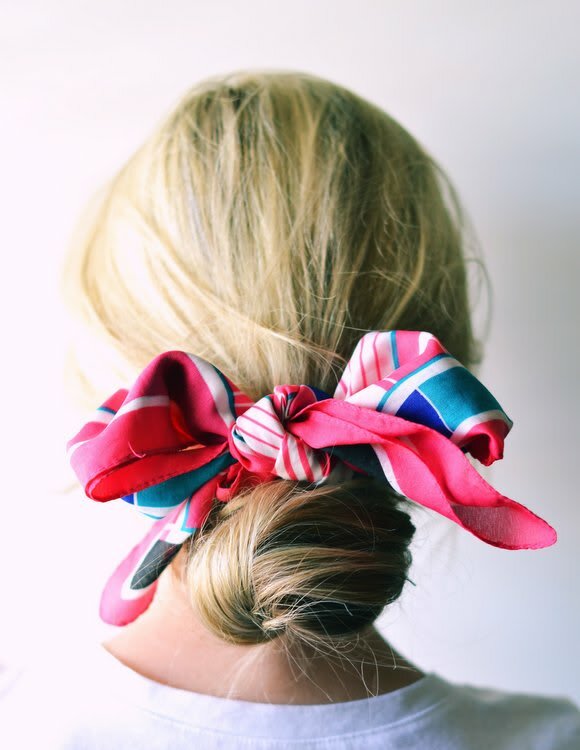 Ponytails and messy buns are the perfect choice for the hot summer days. 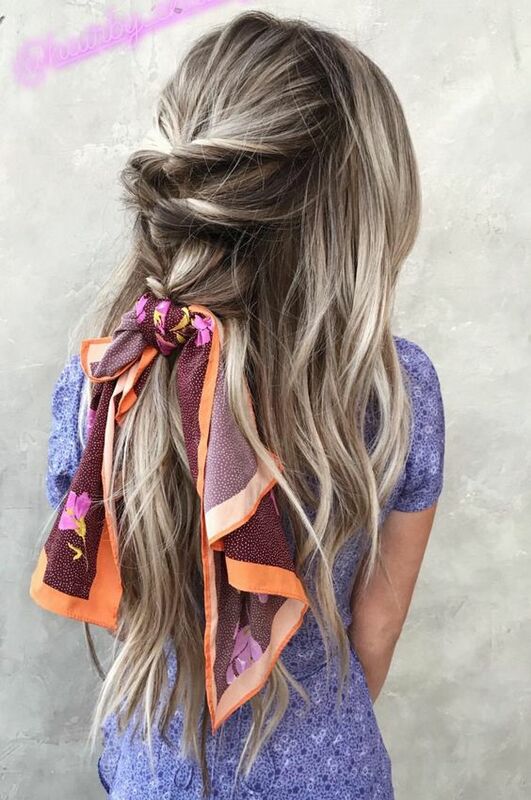 If you want to style your simple hairdo, then you should add a small scarf. It will change everything and bring your effortless hairstyle on a whole new level. 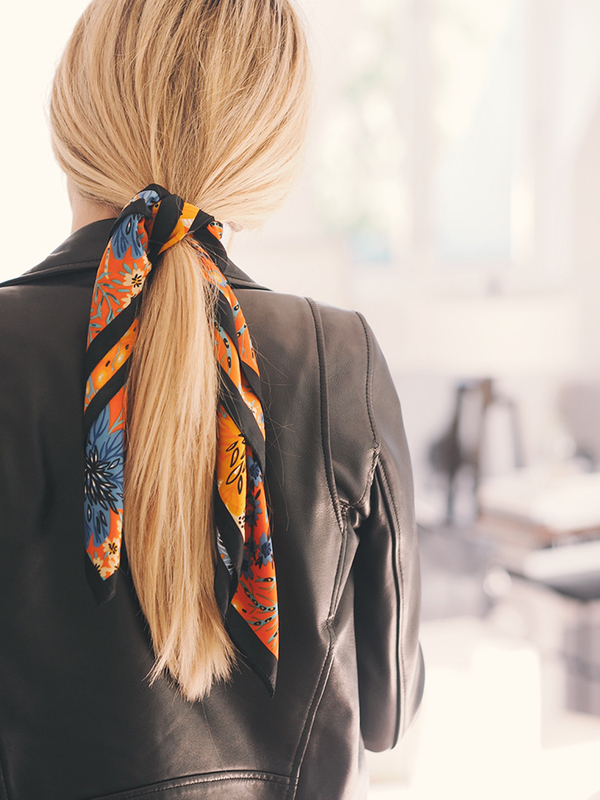 If inspiration is what you are seeking for, check the Scarf Hairstyles that I have to share with you today! 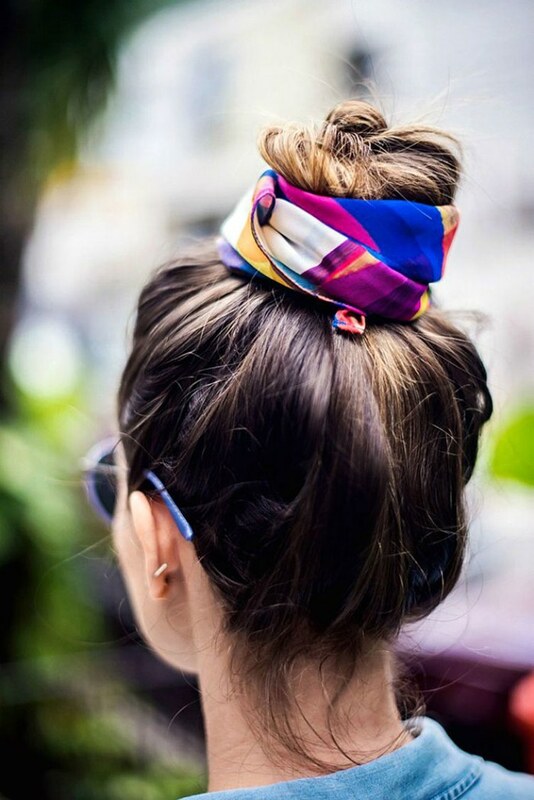 A messy bun is a good way to keep your hair away and prevent sweating. 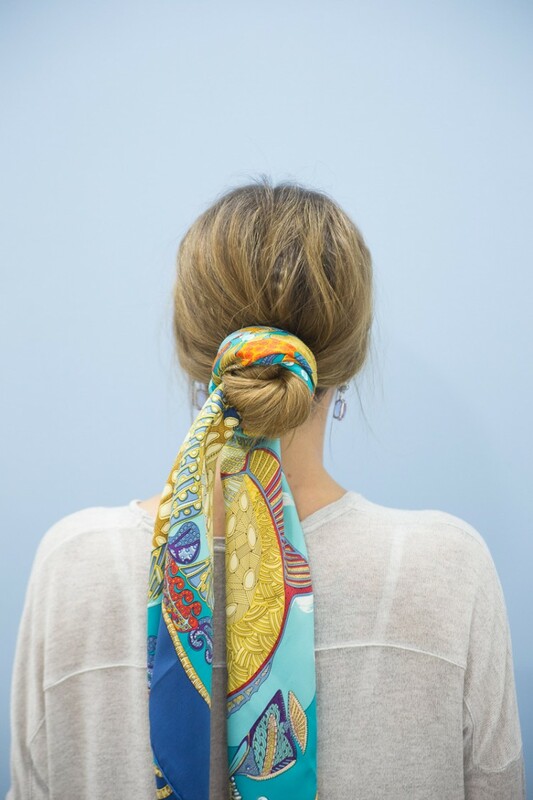 When you add a colorful scarf around it, you will instantly turn it into a spectacular hairdo. 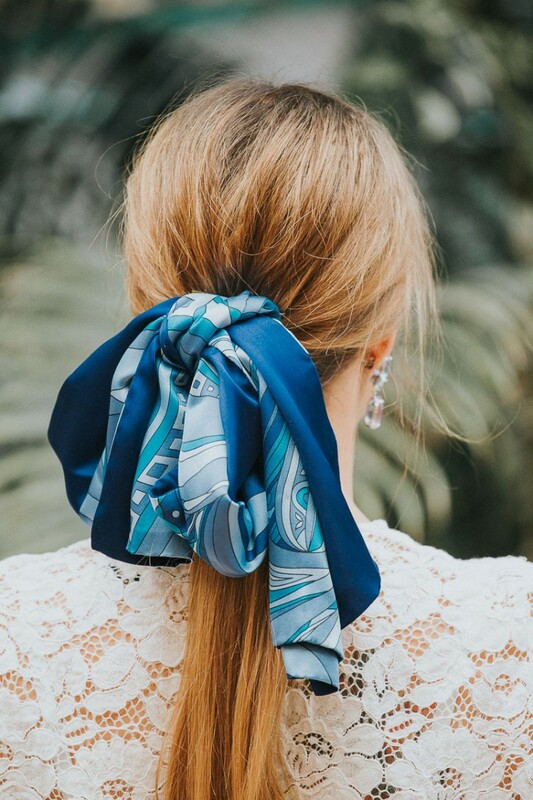 It is the perfect solution for transforming your everyday bun into an evening one that will compliment your favorite summer dress. Low bun or ballerina bun, it really does not matter. Just tie your scarf around it and you are ready to go. A ponytail is your best friend on bad hair days. And when you add a small scarf, you have done a lot. You can go for a high or low ponytail. Trick: Spray an old toothbrush with hair spray. Brush your baby hairs and any others that stand out. This will help you get a smooth look. Do not worry. 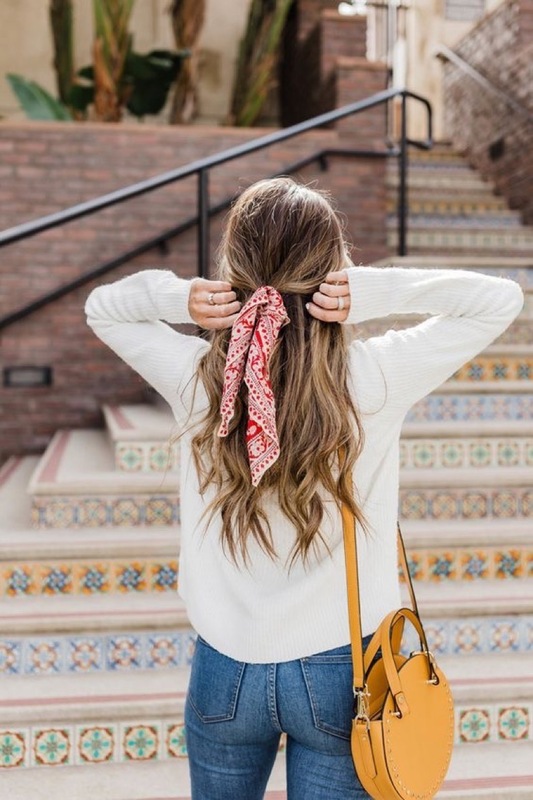 If you don’t wear your hair up, you can still style it with a scarf. 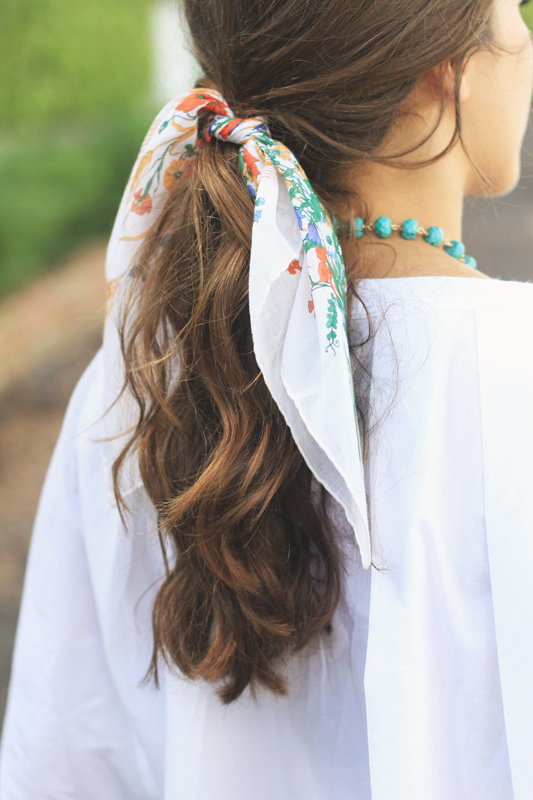 You can tie a small section of your hair to add a bit of style. or, it can be the perfect finish for a cool braid.You will definitely want to give this one a try! 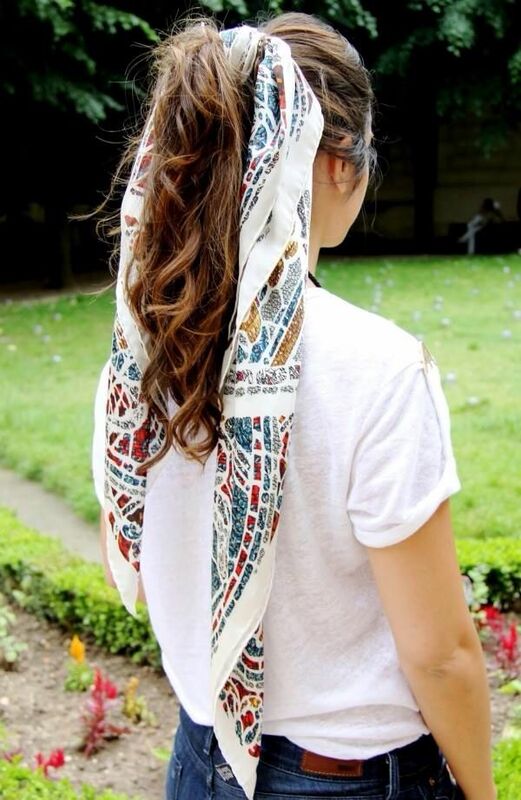 These are some of the wonderful scarf hairstyle ideas that you can do on everyday basis. We love them for being effortless! Which one of these is your favorite?